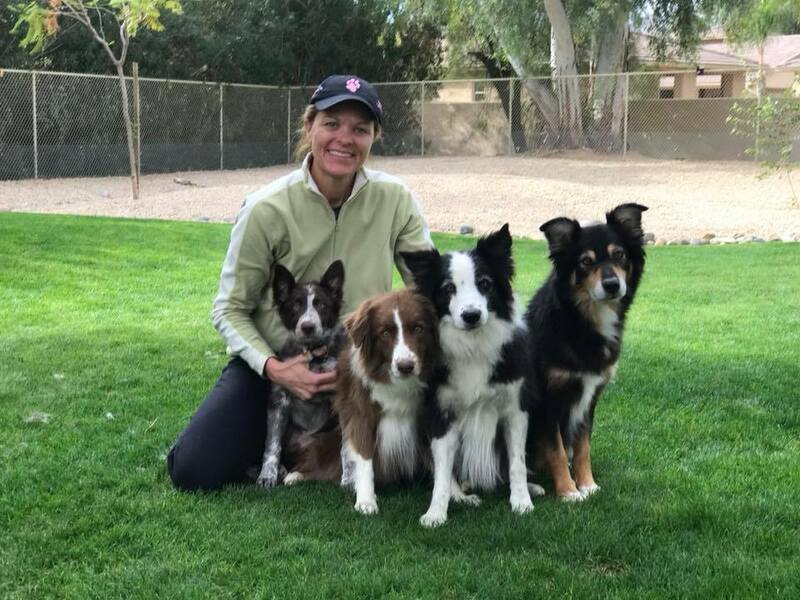 A typical weekday in the life of an agility dog mom…It’s never the same! That’s what makes it crazy 🙂 and fun :). You awake at 5:30 to take everyone out to potty and start your day with warm hugs wags and kisses. Then we either go out and train Agility, or sometimes we go hiking when the temperatures allow it. Next comes the most important meal of the day, or so it seems at the time, breakfast! Now, seeing that we have six dogs and they range in age from 4 to 14 years old, they have different physical conditioning requirements to keep them in shape. I also work on the premise that nothing in the household is free, so everything must be earned. It’s only on the rare occasion when we have an early appointment that does not include the dogs that they get bowls without working for them, for breakfast before we leave. So often times, the ones that need a little bit more core strength or proprioception work, will be given the challenge of eating on wobble discs. Others get to work on their obedience and impulse control, so they get to work sit stay. Those who are actively competing in Agility, typically earn 1/2 of their breakfast in the training sessions. By that time, they’re ready for a power nap and I can do my business for a few hours. Twice during the day we go for a walk in the backyard to stretch our legs again get more hugs kisses and wiggles and wags, maybe earn a few treats doing some tricks, before coming back in and getting back to work again. Late afternoon, is our active time of the day. We get 20 to 30 minutes of swimming in the pool where we work “left”, “right” and “go on” directional commands in retrieving the toys. Once the dogs are in the pool to swim they stay swimming the entire time. It’s always fun to have the one dog who is 14 years old and doesn’t swim very well, run around the pool stealing the toys that are close to the edge. Next comes Yee-haw time! Once we leave the swimming pool we run to the Agility field and do zoomy’s, roll, and then we head out for ‘Rub-a-dub’ time! Each dog gets their own towel to dry off with, and get extra special hugs and rubs from mama. Next is power nap time in to prepare for dinner :). Again, nothing is for free here, all the dogs get to work on different skills. In the afternoon mealtime, we typically work our sits stay and will reward the dogs using bits of their dinner to build a calm relaxed stay, until we release them to their bowls.As our temperatures continue to cool off for the winter, swimming will be replaced by hiking through the mountains near us. And we even incorporate some evening agility training time before they get their dinner.